Wide range from 2,5 to 2000 Nm. is easy using a fold-away torque adjuster. Thrust bearing for soft calibration purposes. 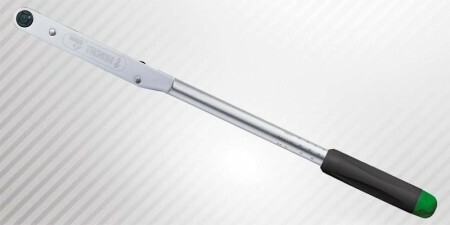 The handle turns freely to prevent accidental slipping of the torque setting. Double signal when the set torque is reached: acoustical click and effort decrease. The sliding through square drive enables to effect right and left tightening. Four scales: Nm, Kgfm, Lbf.in, Lbf.ft.